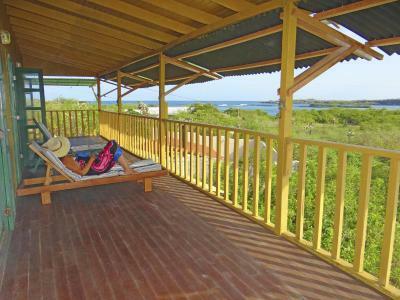 Only 350 feet from the beach, Galápagos Chalet offers bright air-conditioned rooms in a country-style house in upscale quiet Punta Estrada, a 5-minute boat drive from Puerto Ayora’s commercial area. Free Wi-Fi is available on common areas. 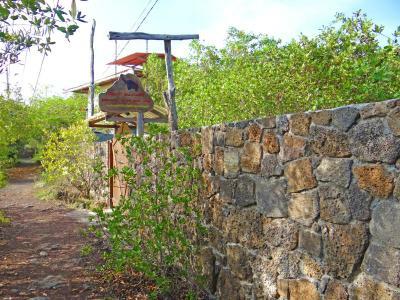 Galápagos Chalet has comfortable rooms with private bathrooms and showers. Some of them include sofas, views of the surrounding forest or balconies with seating areas and lake views. 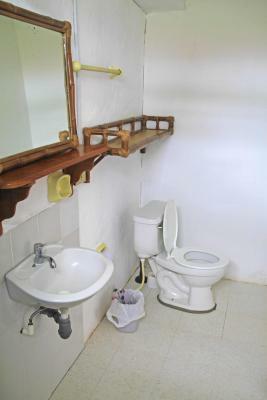 Guests have access to a common kitchen. Charles Darwin bus station is accessible by bus and boat, 0.6 mi away. Shuttles to Baltra Airport 17 mi away can be arranged. 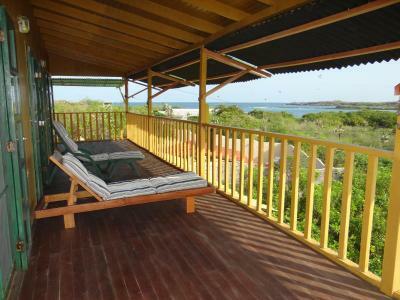 When would you like to stay at Galapagos Chalet? 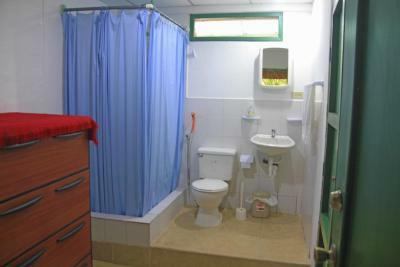 A comfortable room with a private bathroom with a shower. 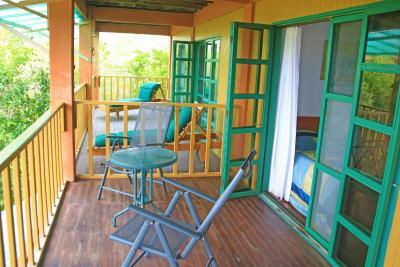 A comfortable room with a balcony with lake views and a private bathroom with a shower. 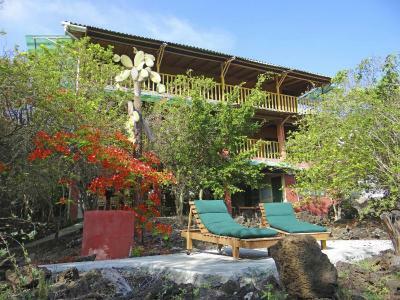 Galapagos Chalet has the best location!, it is two minutes walking from the beach, ten minutes walking to "Las Grietas" and five minutes by a romantic "aqua taxi" to downtown. 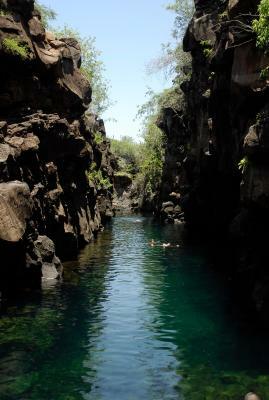 It is very peaceful place you only hear the birds and the ocean, is worth! 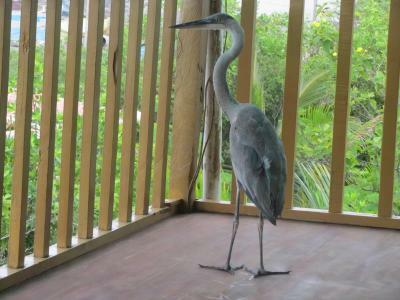 House Rules Galapagos Chalet takes special requests – add in the next step! 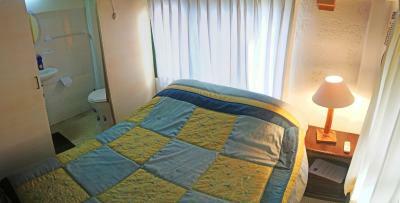 One child under 5 years is charged 50 % of the room stay per night and person when using existing beds. We need at least 5 reviews before we can calculate a review score. If you book and review your stay, you can help Galapagos Chalet meet this goal. 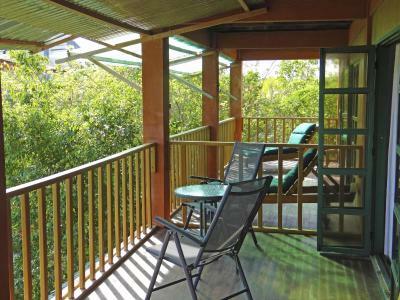 - Great location with a beautiful view and a reasonable price comparing to the other facilities in the same area. 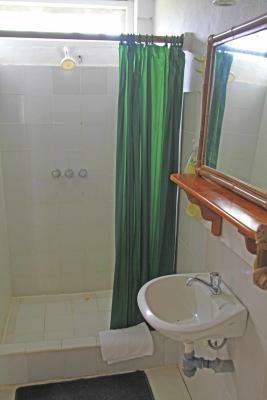 - Real hot showers! 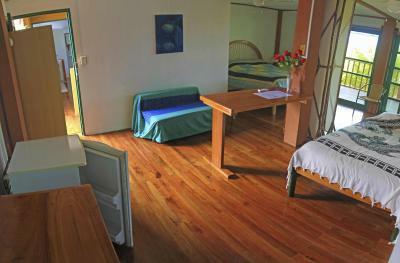 - Spacious and clean rooms. - Great breakfast. 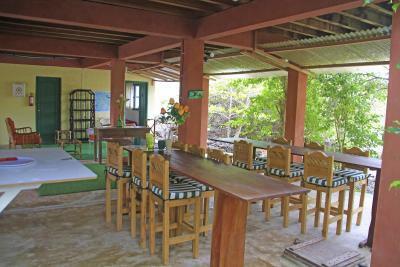 - Pilar the owner is very friendly and speaks Spanish, English, French and German. 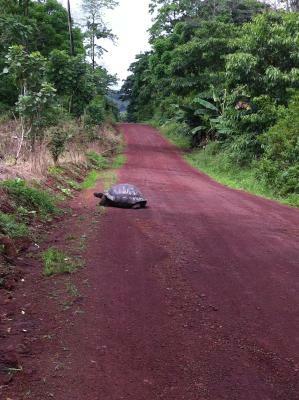 She is very helpful and giving alot of very useful tips that helped in planning the trip in Galapagos islands.